You are here: Home / Trades And Services / Cleaning / Cleaning Rates. What Price Should I Be Paying? The market for cleaning services in the UK is competitive these days, but that doesn’t mean consumers can automatically assume they are getting a good price. With some thorough research and time spent sourcing quotes, it’s possible to make your money go a lot further. In addition, there are service considerations, such as reliability to take into account. We’ll try and dissect some of this, and offer some key things to think about. What is a typical price for a professional cleaning service? Cleaners will typically quote by the hour (or for a block of hours) for domestic contracts. When it comes to shopping around, this makes things more straightforward in terms of assessing value for money. Where you live will have a significant impact on prices, as well as the competitiveness of the local market. Expect to pay around £7-10 per hour for simple jobs, such as regular domestic cleaning tasks. This would include the obvious things like hoovering, floor cleaning, bathroom cleaning and so on. 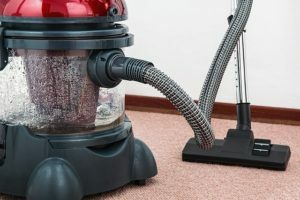 For more specialist tasks like oven cleaning and deep carpet cleans the price can go up given the specialist nature of the job, the specialist skills demanded, and the need for larger and more expensive equipment generally. There is an excellent thread here, which gives a great idea on prices and a lot of additional discussion! Prices for commercial jobs tend to be higher. There are various reasons for this. Most obviously larger areas will need to be covered. In addition, the types of equipment used tends to be on the more expensive side, and generally requires training to use properly. Commercial contracts may be negotiated directly, or sometimes tendered. Excellent price reductions can be achieved if you’re able to stick to your guns on exactly what you’re looking for. Whether it’s cleaning an office, a catering outlet, a bar or a restaurant, there are great deals to be had, so do shop around. You’ll often find that getting a second opinion on what might need doing (or not doing), also helps to reduce prices. There are many benefits to choosing local companies to get cleaning quotes from. They have local knowledge, reduced travel costs and can offer a great fit for many businesses. It’s never easy to know how much you should pay, so research what’s available. For simple office cleans, rates can be similar to what you would expect to pay for a domestic service (around the £10/hour mark). For larger industrial jobs and contracts, hourly rates can be upwards of £30 per hour. A bit more discussion on this can be found on this board. End of tenancy cleaning is a large market. As rentals come to an end, and with customers wanting a full deposit return, an end of tenancy cleaning service can deliver the results. Again, make the market work in your favour, and try and get a price agreed up-front so you don’t get caught out by unexpected expense. Tenancy cleans for small flat for example might typically be anything from £100 to £300 in total depending on what needs doing, and the area you live. The total time spent on site might be anything from a couple of hours right up to a full day for larger properties, so this will more than likely be the determining factor in the overall price that you pay. Here are some great examples of typical tenancy cleaning prices. Of course, we all want the best deal we can get on any purchase. However it’s crucially important that you don’t focus on price to the detriment of the overall service you receive. Always ask for testimonials and references, and choose an approved company or self employed cleaner. Beware of ridiculously low prices, and always ensure that the company you choose can deliver what they promise. Check out online reviews, use reputable online sources and if in doubt, don’t take them on. Ask for references and testimonials. Word of mouth can be a great tool too. Ask around to see if anyone you know has used the service. Most cleaning companies can, and will, deliver a great service and superb value for money. You can shop around with confidence, and use the various tools available to secure a great price. Getting quotes is not always simple. You might find that it’s a little overwhelming, with an often large number of choices. Or you might be unsure about being able to source a reliable company. Here at the Big Red Buyer’s Guide, we work with approved cleaning companies, offering a range of domestic and commercial services. If it suits your needs, please use the tools provided, and we can put you in touch with approved and vetted local firms. As always, we’d love to have your feedback on this post, or any other ideas you might have. Good luck finding your cleaner!